Gujarat Gas rallied 17% at Rs 157 on back of heavy volumes as the stock turned ex-stock split in the ratio of 1:5 with effect from Tuesday. Shares of Gujarat Gas rallied 17 per cent at Rs 157 apiece on BSE on the back of heavy volumes on Tuesday. The stock of city gas distribution company has turned ex-stock split in the ratio of 1:5 with effect from today. The board of directors of Gujarat Gas at their meeting held on November 3, 2018 recommended the split/sub-division of equity shares of the company from face value of Rs 10 each to face value of Rs 2 each i.e. sub-division of 1 equity share of face value of Rs 10 each fully paid up into 5 equity shares of Rs 2 each fully paid up. The company has fixed Wednesday, January 16, 2019, as the record date for determining the eligibility of shareholders, with regard to sub-division of company's equity shares. In order to facilitate affordability of the company’s shares for investors at large and to enhance the liquidity of the company’s equity shares in the stock market, the most of companies proposed to bring down the nominal face value of equity shares. 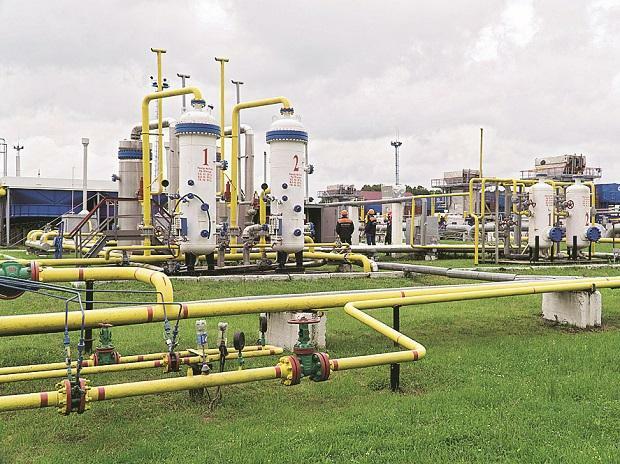 In the past one year, Gujarat Gas had underperformed the market by falling 27 per cent, as compared to a 3.7 per cent rise in the S&P BSE Sensex. At 10:41 am, the stock was trading 12 per cent higher at Rs 150 on the BSE, against 0.82 per cent rise in the benchmark index. A combined 1.72 million equity shares have changed hands on the counter on the NSE and BSE so far. On an average, about 21,000 shares traded in the past two weeks before the stock split.